Planning your super-ultra-awesome wedding just got way easier. 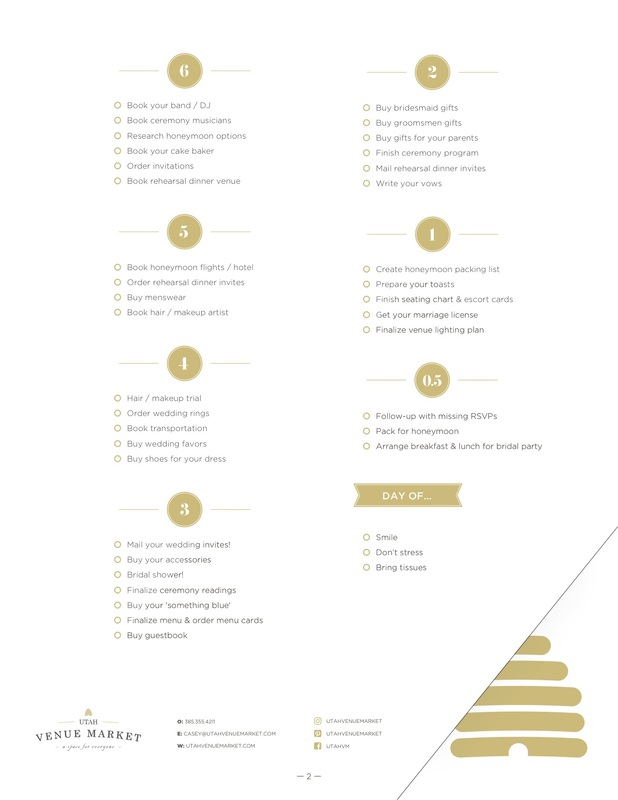 With this simple, printable checklist, keep yourself on track and stress-free. 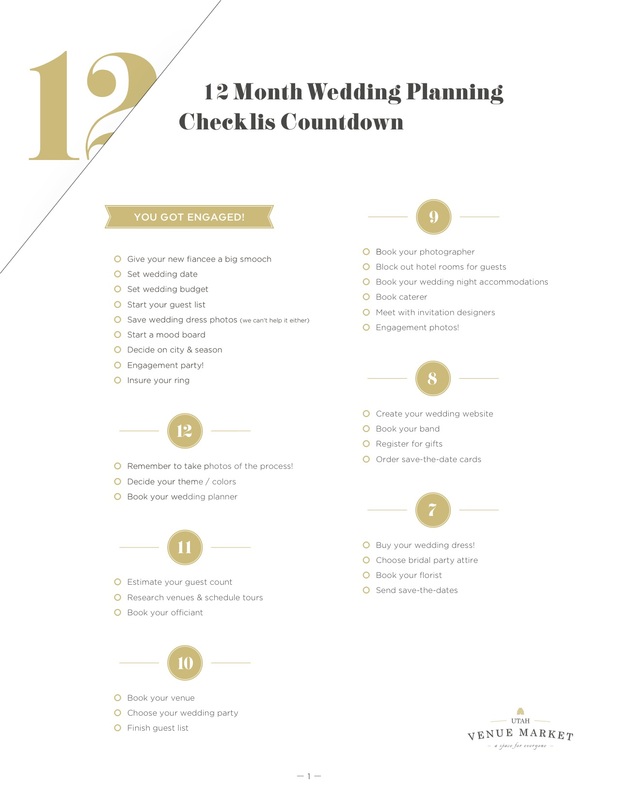 The Utah Venue Market 12-month guide to planning a wedding will lay out what happens when, with a totally doable number of items to cross off each month. Is your wedding in less than a year? No problem, just combine a few of those months and get on the fast track to tying the knot! We hope your wedding planning is as blissful as possible! Have any ideas of how we can help? Let us know! !